Festival Mozaic’s Executive Director, Bettina Swigger, is steadily plowing toward her second Summer Festival. While no good mother would EVER admit to having favorites, here are the events she’s looking forward to most. 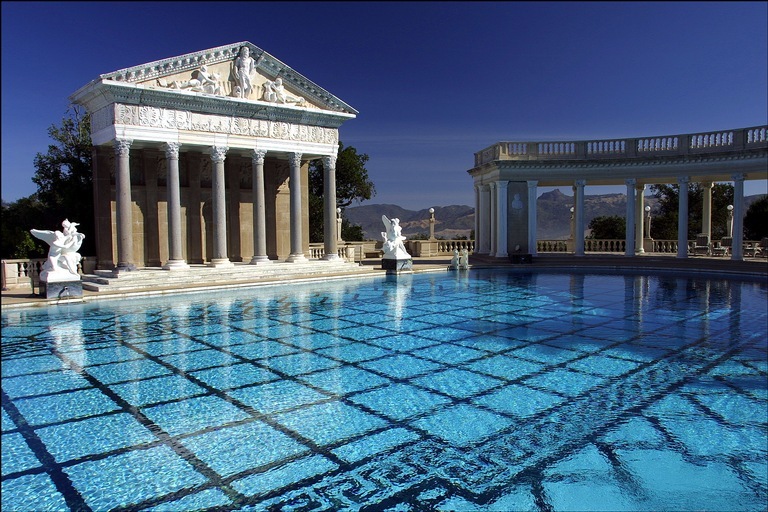 1) Chamber music at Hearst Castle this summer on July 14 – Brahms and Dvorak. Not only will guests get to enjoy the amazing views from the hilltop and get to hang out with our super-duper rockstar music director Scott Yoo, but the concert takes place in the theater, so it’s a one-of-a-kind experience. Well worth the $175 price! Hearing Brahms and Dvorak side by side is always a wonderful musical exercise, since Brahms was a mentor to Dvorak. 2) Classical Musicians Doing Decidedly Un-Classical Things – This one last year was a real barnburner and this year it promises to be even better, with Caroline Campbell and her virtuoso Sonus Quartet and the gifted and hilarious John Novacek rounding out the evening. I love seeing these generally-staid musicians really rock out. 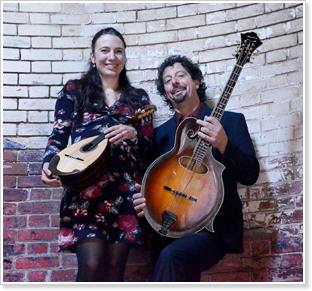 3) The Mandolins on the Fringe concert at See Canyon Fruit Ranch featuring Mike Marshall and Caterina Lichtenberg. It’s an outdoor concert in a beautiful setting. Beer, wine and boxed lunches will be available. Plus – Mike Marshall is probably the number two mandolin player behind Bela Fleck (do you ever listen to NPR’s show Car Talk? He played the theme for that show!) Their program will feature Baroque, Classical and American mandolins and mandocello performing baroque music, Brazilian choro music and Mike Marshall originals. 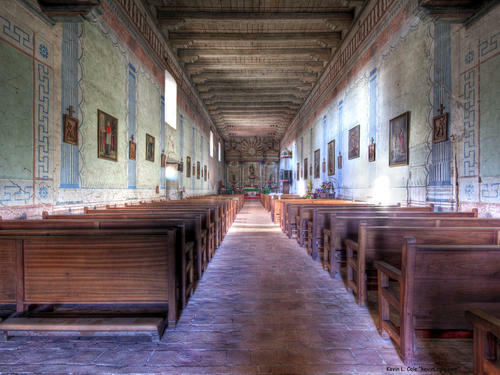 4) We’ll be heading to Mission San Miguel for the first time in many, many years! The Festival Orchestra will be performing in this exquisite historic mission, which has been lovingly restored after it sustained massive damage in a 2003 earthquake. It’s a lovely setting, and the repertoire for this concert couldn’t be more delightful. I love Mozart’s oboe concerto, and Anne Marie Gabriele is a fantastic performer. Plus, Scott conducting Beethoven Symphony No. 2? Yes, please! 5) The Chapel Hill concert is the most magical place for me. 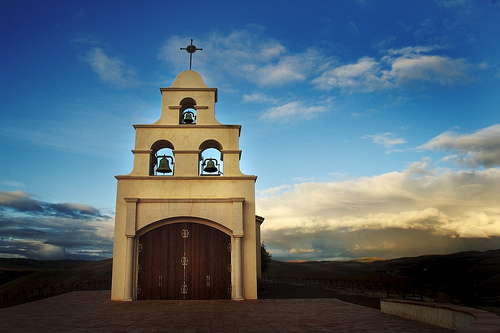 It’s a private chapel way out on Highway 46, built with remnants from the Hearst Castle as a place of worship by Judge William Clark. Last year was my first time attending, and I was moved to tears by hearing such timeless music performed in an unimaginably beautiful setting. Plus, this year Mike Marshall and Caterina Lichtenberg are soloists. People bring picnics and wine (and Chuck Hiigel will be pouring beers out of his reserves) to share before enjoying the indoor/outdoor concert – it’s just lovely. Click here to watch a video shot by an audience member a few years ago at Chapel Hill and see for yourself why this is a truly special offering at Festival Mozaic. Well, shoot. I can’t choose just FIVE! So here’s a bonus. *) We’re also doing a Notable Encounter Insight at Studios on the Park in Paso Robles. This is a very cool, interactive presentation will highlight my very favorite string quartet of all time in a very great space- working artists studios in downtown Paso Robles, which is really happening right now. Bettina Swigger, Executive Director, developed a love of music when she began playing the viola at age five. Originally from Albuquerque, New Mexico, Bettina joined Festival Mozaic in 2011 from Colorado Springs, where she served as executive director of the Cultural Office of the Pikes Peak Region, an arts advocacy organization. Prior to that, she was the manager of the Colorado College Summer Arts Festival, which includes a Summer Music Festival, Dance Intensive, Vocal Arts Symposium and film series. She holds a bachelor’s degree in Comparative Literature from Colorado College. A passionate advocate for all the creative arts, Bettina has served as an elected member of the National Emerging Leaders Council for Americans for the Arts. She sits on the Music Education Committee with the San Luis Obispo Symphony and is on the board of directors of Arts Obispo, the San Luis Obispo County Arts Council.